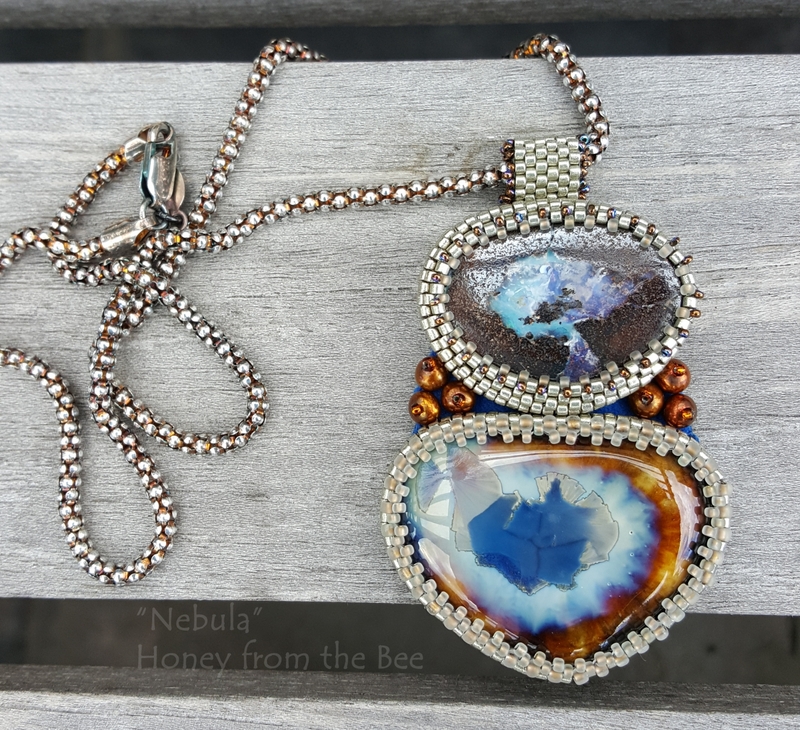 This boulder opal artisan necklace takes my breath away. I've called it Nebula. 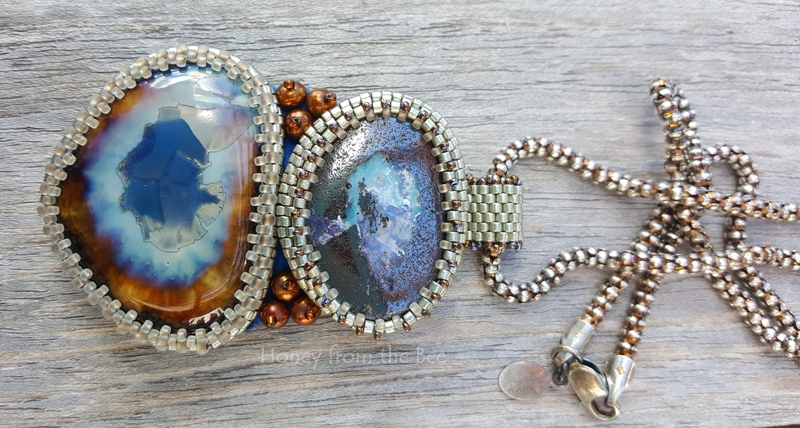 I'd paired the Boulder Opal on the top with the amazing Crystalline ceramic cabochon by Tatiana Kleshnina a little while ago, because well they just go together! It took some time however to mull them over in my brain before it came to be like this. Boulder Opal is one of my favorite finds. This one feels like you're only seeing the beginning of a deep abyss. It is difficult to obtain crystalline patterns on ceramics. It's why you don't see them often. They're works of art in themselves. Tatiana has mastered it and I've got a a couple more cabs sitting in my hoard for another time. Each one different and special. Using bead embroidery techniques I've captured both with tiny Japanese seed beads and added some "A" grade button pearls in a golden rusty shade. 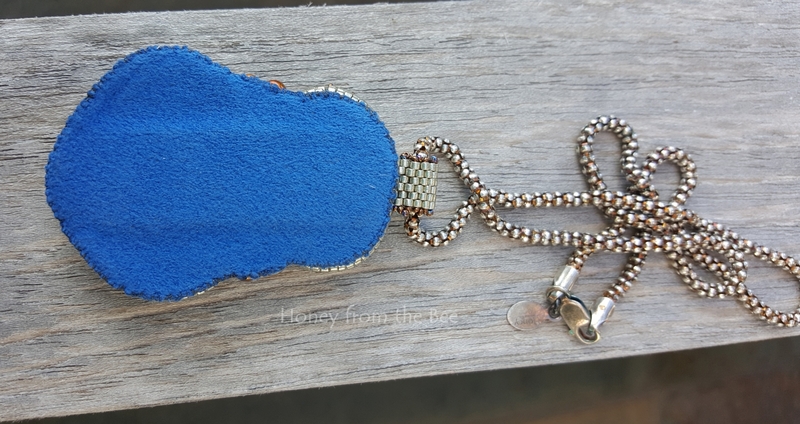 The pendant is about 2 5/8" long from the top of the bail to the bottom and 1 5/8" at the widest. 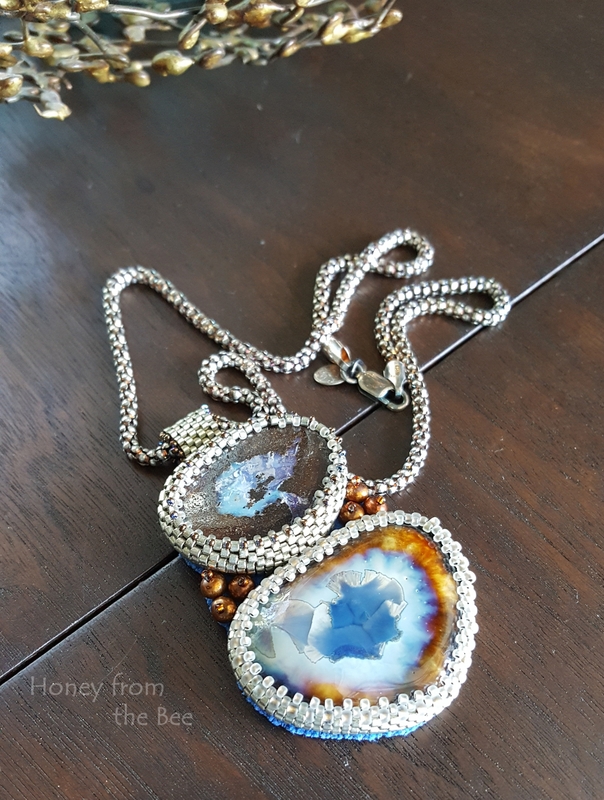 After getting the perfect patina on the 18" sterling silver chain I declared it complete in a most stunning way.